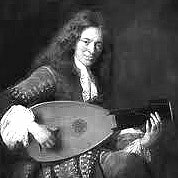 Baroque Era. 12 measures. 1 page. Solo Guitar Piece. Key of D. 6/8 Time Signature. From “Cinq Airs De Danse”, transcribed by Emilio Pujol.